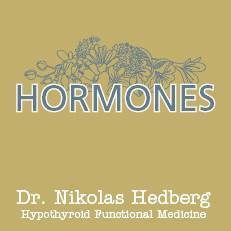 hormones Archives - Dr. Nikolas Hedberg, D.C. In this episode of The Dr. Hedberg Show, I interview DUTCH test founder Mark Newman. We covered a lot of detailed information about hormone testing and why the DUTCH test is superior in many ways to other forms of hormone testing. In this episode of The Dr. Hedberg Show, I interviewed writer and thyroid advocate Rachel Hill of The Invisible Hypothyroidism. We discussed Hashimoto’s disease, hypothyroidism, and many connections to these illnesses. Rachel suffers from thyroid issues herself so we can learn a lot from her about her personal experiences. I urge everyone to listen or read and connect with her through her website and social media which I have linked to at the end of the transcript.